Robin, L., C. Dickman, and M. Martin, eds. Desert Channels: the impulse to conserve. 2010, CSIRO Publishing: Melbourne. Denny, E.A. and C.R. Dickman, eds. Review of Cat Ecology and Management Strategies in Australia. 2010, Invasive Animals Cooperative Research Centre: Canberra. Dickman, C.R., A Fragile Balance: the extraordinary story of Australian marsupials. 2007, Melbourne: Mallon Publishing. Armati, P.J., C.R. Dickman, and I.D. Hume, eds. Marsupials. 2006, Cambridge University Press: Cambridge. Jones, M.E., C.R. Dickman, and M. Archer, eds. Predators with Pouches: The Biology of Carnivorous Marsupials. 2003, CSIRO Publishing: Melbourne. Dickman, C.R. and D. Lunney, A Symposium on the Dingo. 2001, Sydney: Royal Zoological Society of New South Wales. Doherty, M., et al., The Interaction Between Habitat Conditions, Ecosystem Processes and Terrestrial Biodiversity – a Review. 2000, Canberra: Environment Australia. Newsome, A.E., et al., Potential Impacts on Australian Native Fauna of Rabbit Calicivirus Disease. 1997, Canberra: Environment Australia. Dickman, C.R., Overview of the Impacts of Feral Cats on Australian Native Fauna. 1996, Canberra: Australian Nature Conservation Agency. Popic, T.J., Y.C. Davila, and G.M. Wardle, Cheater or mutualist? Novel florivory interaction between nectar‐rich Crotalaria cunninghamii and small mammals. Austral Ecology, 2016. Yip, S.J.S., M.A. Rich, and C.R. Dickman, Diet of the feral cat, Felis catus, in central Australian grassland habitats during population cycles of its principal prey. Mammal Research, 2015. 60(1): p. 39-50. Wardle, G.M., et al., Ecosystem risk assessment of Georgina gidgee woodlands in central Australia. Austral Ecology, 2015. 40(4): p. 444-459. Pavey, C.R., et al., The role of refuges in the persistence of Australian dryland mammals. Biological Reviews, 2015. Nguyen, V., et al., On the validity of visual cover estimates for time series analyses: a case study of hummock grasslands. Plant Ecology, 2015: p. 1-14. Newsome, T.M., et al., Resolving the value of the dingo in ecological restoration. Restoration Ecology, 2015. 23(3): p. 201-208. McDonald, P.J., et al., Using multiple‐source occurrence data to identify patterns and drivers of decline in arid‐dwelling Australian marsupials. Ecography, 2015. McDonald, P.J., et al., Landscape-scale factors determine occupancy of the critically endangered central rock-rat in arid Australia: the utility of camera trapping. Biological Conservation, 2015. 191: p. 93-100. Lindenmayer, D.B., et al., Contemplating the future: Acting now on long-term monitoring to answer 2050’s questions. Austral Ecology, 2015. 40(3): p. 213-224. Free, C., et al., Diversity and Community Composition of Vertebrates in Desert River Habitats. PloS one, 2015. 10(12): p. e0144258. Doherty, T.S., et al., A continental-scale analysis of feral cat diet in Australia. Journal of Biogeography, 2015. 42(5): p. 964-975. Céré, J., W.L. Vickery, and C.R. Dickman, Refugia and dispersal promote population persistence under variable arid conditions: a spatio‐temporal simulation model. Ecosphere, 2015. 6(11): p. 1-14. Yip, S.J.S., et al., Diet of the feral cat, Felis catus, in central Australian grassland habitats: do cat attributes influence what they eat? Acta Theriologica, 2014. 59(2): p. 263-270. Spencer, E.E., M.S. Crowther, and C.R. Dickman, Risky Business: Do Native Rodents Use Habitat and Odor Cues to Manage Predation Risk in Australian Deserts? Plos One, 2014. 9(2). Spencer, E.E., M.S. Crowther, and C.R. Dickman, Diet and prey selectivity of three species of sympatric mammalian predators in central Australia. Journal of Mammalogy, 2014. 95(6): p. 1278-1288. Pastro, L.A., C.R. Dickman, and M. Letnic, Fire type and hemisphere determine the effects of fire on the alpha and beta diversity of vertebrates: a global meta-analysis. Global Ecology and Biogeography, 2014. 23(10): p. 1146-1156. Newsome, T.M., et al., Human-resource subsidies alter the dietary preferences of a mammalian top predator. Oecologia, 2014. 175(1): p. 139-150. Newsome, T.M., et al., Dietary niche overlap of free-roaming dingoes and domestic dogs: the role of human-provided food. Journal of Mammalogy, 2014. 95(2): p. 392-403. Greenville, A.C., et al., Bottom-up and top-down processes interact to modify intraguild interactions in resource-pulse environments. Oecologia, 2014. 175(4): p. 1349-1358. Frank, A.S.K., et al., Habitat- and rainfall-dependent biodiversity responses to cattle removal in an arid woodland-grassland environment. Ecological Applications, 2014. 24(8): p. 2013-2028. Diete, R.L., et al., Burrowing behaviour of the northern hopping-mouse (Notomys aquilo): field observations. Australian Mammalogy, 2014. 36(2): p. 242-246. Dickman, C.R. and L. Robin, Putting Science in its Place: The Role of Sandringham Station in Fostering Arid Zone Science in Australia. Historical Records of Australian Science, 2014. 25(2): p. 186-201. Dickman, C.R. and T.M. Newsome, Individual hunting behaviour and prey specialisation in the house cat Felis catus: Implications for conservation and management. Applied Animal Behaviour Science, 2014. Coffman, J.M., et al., Restoration practices have positive effects on breeding bird species of concern in the Chihuahuan Desert. Restoration Ecology, 2014. 22: p. 336-344. Wardle, G.M., C.R. Pavey, and C.R. Dickman, Greening of arid Australia: New insights from extreme years. Austral Ecology, 2013. 38(7): p. 731-740. Tischler, M., C.R. Dickman, and G.M. Wardle, Avian functional group responses to rainfall across four vegetation types in the Simpson Desert, central Australia. Austral Ecology, 2013. 38(7): p. 809-819. Ritchie, E.G., et al., Continental-Scale Governance and the Hastening of Loss of Australia’s Biodiversity. Conservation Biology, 2013. 27(6): p. 1133-1135. Popic, T.J., G.M. Wardle, and Y.C. Davila, Flower-visitor networks only partially predict the function of pollen transport by bees. Austral Ecology, 2013. 38(1): p. 76-86. Popic, T.J., Y.C. Davila, and G.M. Wardle, Evaluation of Common Methods for Sampling Invertebrate Pollinator Assemblages: Net Sampling Out-Perform Pan Traps. PloS one, 2013. 8(6). Pastro, L.A., C.R. Dickman, and M. Letnic, Effects of wildfire, rainfall and region on desert lizard assemblages: the importance of multi-scale processes. Oecologia, 2013. 173(2): p. 603-614. Newsome, T.M., et al., Genetic profile of dingoes (Canis lupus dingo) and free-roaming domestic dogs (C. l. familiaris) in the Tanami Desert, Australia. Wildlife Research, 2013. 40(3): p. 196-206. Newsome, T.M., et al., Anthropogenic resource subsidies determine space use by Australian arid zone dingoes: an improved resource selection modelling approach. 2013. Newsome, T.M., et al., Home range, activity and sociality of a top predator, the dingo: a test of the Resource Dispersion Hypothesis. Ecography, 2013. 36(8): p. 914-925. Nano, C.E.M. and C.R. Pavey, Refining the ‘pulse-reserve’ model for arid central Australia: Seasonal rainfall, soil moisture and plant productivity in sand ridge and stony plain habitats of the Simpson Desert. Austral Ecology, 2013. 38(7): p. 741-753. Hanke, P.U. and C.R. Dickman, Sniffing out the stakes: hair-snares for wild cats in arid environments. Wildlife Research, 2013. 40(1): p. 45-51. Greenville, A.C., G.M. Wardle, and C.R. Dickman, Extreme rainfall events predict irruptions of rat plagues in central Australia. Austral Ecology, 2013. 38(7): p. 754-764. Free, C.L., et al., Resource Pulses in Desert River Habitats: Productivity-Biodiversity Hotspots, or Mirages? PloS one, 2013. 8(10). Frank, A.S.K., et al., Interactions of Grazing History, Cattle Removal and Time since Rain Drive Divergent Short-Term Responses by Desert Biota. PloS one, 2013. 8(7). D’Souza, J.B., et al., Perfect storm: Demographic responses of an irruptive desert mammal to prescribed burns following flooding rain. Austral Ecology, 2013. 38(7): p. 765-776. Dickman, C.R., Human community ecology: making connections for conservation. Pacific Conservation Biology, 2013. 19(4): p. 312-319. Dickman, C.R., Long-haul research: Benefits for conserving and managing biodiversity. Pacific Conservation Biology, 2013. 19(1): p. 10-17. Lindenmayer, D.B., et al., Value of long-term ecological studies. Austral Ecology, 2012. 37(7): p. 745-757. Letnic, M., E.G. Ritchie, and C.R. Dickman, Top predators as biodiversity regulators: the dingo Canis lupus dingo as a case study. Biological Reviews, 2012. 87(2): p. 390-413. Greenville, A.C., G.M. Wardle, and C.R. Dickman, Extreme climatic events drive mammal irruptions: regression analysis of 100-year trends in desert rainfall and temperature. Ecology and Evolution, 2012. 2(11): p. 2645-2658. Frank, A.S.K., C.R. Dickman, and G.M. Wardle, Habitat use and behaviour of cattle in a heterogeneous desert environment in central Australia. Rangeland Journal, 2012. 34(3): p. 319-328. Pastro, L.A., C.R. Dickman, and M. Letnic, Burning for biodiversity or burning biodiversity? Prescribed burn vs. wildfire impacts on plants, lizards, and mammals. Ecological Applications, 2011. 21(8): p. 3238-3253. Morton, S.R., et al., A fresh framework for the ecology of arid Australia. Journal of Arid Environments, 2011. 75(4): p. 313-329. Meserve, P.L., C.R. Dickman, and D.A. Kelt, Small mammal community structure and dynamics in aridlands: overall patterns and contrasts with Southern Hemispheric systems. Journal of Mammalogy, 2011. 92(6): p. 1155-1157. Letnic, M., et al., Resource pulses, switching trophic control, and the dynamics of small mammal assemblages in arid Australia. Journal of Mammalogy, 2011. 92(6): p. 1210-1222. Letnic, M., et al., Does a top predator suppress the abundance of an invasive mesopredator at a continental scale? Global Ecology and Biogeography, 2011. 20(2): p. 343-353. Letnic, M., et al., Demonising the dingo: How much wild dogma is enough? Current Zoology, 2011. 57(5): p. 668-670. Dickman, C.R., et al., Spatial dynamics of small mammals in central Australian desert habitats: the role of drought refugia. Journal of Mammalogy, 2011. 92(6): p. 1193-1209. Cupples, J.B., et al., Dietary overlap and prey selectivity among sympatric carnivores: could dingoes suppress foxes through competition for prey? Journal of Mammalogy, 2011. 92(3): p. 590-600. Saunders, G.R., M.N. Gentle, and C.R. Dickman, The impacts and management of foxes Vulpes vulpes in Australia. Mammal Review, 2010. 40(3): p. 181-211. Salo, P., et al., Predator manipulation experiments: impacts on populations of terrestrial vertebrate prey. Ecological Monographs, 2010. 80(4): p. 531-546. Letnic, M. and C.R. Dickman, Resource pulses and mammalian dynamics: conceptual models for hummock grasslands and other Australian desert habitats. Biological Reviews, 2010. 85(3): p. 501-521. Gordon, C.E., C.R. Dickman, and M.B. Thompson, Partitioning of temporal activity among desert lizards in relation to prey availability and temperature. Austral Ecology, 2010. 35(1): p. 41-52. Gordon, C.E., C.R. Dickman, and M.B. Thompson, What factors allow opportunistic nocturnal activity in a primarily diurnal desert lizard (Ctenotus pantherinus)? Comparative Biochemistry and Physiology a-Molecular & Integrative Physiology, 2010. 156(2): p. 255-261. Dickman, C.R., et al., Social organization and movements of desert rodents during population “booms” and “busts” in central Australia. Journal of Mammalogy, 2010. 91(4): p. 798-810. Visser, R.L., et al., Developing a national framework for dingo trophic regulation research in Australia: Outcomes of a national workshop. Ecological Management and Restoration, 2009. 10(2): p. 168-170. Visser, R.L., et al., A national framework for research on trophic regulation by the Dingo in Australia. Pacific Conservation Biology, 2009. 15(3): p. 209-216. Letnic, M., et al., Keystone effects of an alien top-predator stem extinctions of native mammals. Proceedings of the Royal Society B-Biological Sciences, 2009. 276(1671): p. 3249-3256. Greenville, A.C., et al., The fire history of an arid grassland: the influence of antecedent rainfall and ENSO. International Journal of Wildland Fire, 2009. 18(6): p. 631-639. Greenville, A.C. and C.R. Dickman, Factors affecting habitat selection in a specialist fossorial skink. Biological Journal of the Linnean Society, 2009. 97(3): p. 531-544. Duncan, F.D. and C.R. Dickman, Respiratory strategies of tenebrionid beetles in arid Australia: does physiology beget nocturnality? Physiological Entomology, 2009. 34(1): p. 52-60. Dickman, C.R., House cats as predators in the Australian environment: impacts and management. Human-Wildlife Conflicts, 2009. 3: p. 41-48. Barton, P.S., et al., Conserving ground-dwelling beetles in an endangered woodland community: Multi-scale habitat effects on assemblage diversity. Biological Conservation, 2009. 142(8): p. 1701-1709. Pavey, C.R., S.R. Eldridge, and M. Heywood, Population dynamics and prey selection of native and introduced predators during a rodent outbreak in arid Australia. Journal of Mammalogy, 2008. 89(3): p. 674-683. Daly, B.G., C.R. Dickman, and M.S. Crowther, Causes of habitat divergence in two species of agamid lizards in arid central Australia. Ecology, 2008. 89(1): p. 65-76. Burbidge, A.A., et al., Conservation status and biogeography of Australia’s terrestrial mammals. Australian Journal of Zoology, 2008. 56(6): p. 411-422. Salo, P., et al., Alien predators are more dangerous than native predators to prey populations. Proceedings of the Royal Society B-Biological Sciences, 2007. 274(1615): p. 1237-1243. McKenzie, N.L., et al., Analysis of factors implicated in the recent decline of Australia’s mammal fauna. Journal of Biogeography, 2007. 34(4): p. 597-611. Glen, A.S., et al., Evaluating the role of the dingo as a trophic regulator in Australian ecosystems. Austral Ecology, 2007. 32(5): p. 492-501. Daly, B.G., C.R. Dickman, and M.S. Crowther, Selection of habitat components by two species of agamid lizards in sandridge desert, central Australia. Austral Ecology, 2007. 32(7): p. 825-833. Banks, P.B. and C.R. Dickman, Alien predation and the effects of multiple levels of prey naivete. Trends in Ecology & Evolution, 2007. 22(5): p. 229-230. Letnic, M. and C.R. Dickman, Boom means bust: interactions between the El Nino/Southern Oscillation (ENSO), rainfall and the processes threatening mammal species in arid Australia. Biodiversity and Conservation, 2006. 15(12): p. 3847-3880. Holmgren, M., et al., A synthesis of ENSO effects on drylands in Australia, North America and South America. Advances in Geosciences, 2006. 6: p. 69-72. Holmgren, M., et al., Extreme climatic events shape arid and semiarid ecosystems. Frontiers in Ecology and the Environment, 2006. 4(2): p. 87-95. Haythornthwaite, A.S. and C.R. Dickman, Distribution, abundance, and individual strategies: a multi-scale analysis of dasyurid marsupials in arid central Australia. Ecography, 2006. 29(3): p. 285-300. Haythornthwaite, A.S. and C.R. Dickman, Long-distance movements by a small carnivorous marsupial: how Sminthopsis youngsoni (Marsupialia : Dasyuridae) uses habitat in an Australian sandridge desert. Journal of Zoology, 2006. 270(3): p. 543-549. Blackwell, G.L., S.M. Basse, and C.R. Dickman, Measurement error associated with external measurements commonly used in small-mammal studies. Journal of Mammalogy, 2006. 87(2): p. 216-223. Letnic, M., B. Tamayo, and C.R. Dickman, The responses of mammals to La Niña (El Niño Southern Oscillation)-associated rainfall, predation, and wildfire in central Australia. Journal of Mammalogy, 2005. 86(4): p. 689-703. Letnic, M. and C.R. Dickman, The responses of small mammals to patches regenerating after fire and rainfall in the Simpson Desert, central Australia. Austral Ecology, 2005. 30(1): p. 24-39. Haythornthwaite, A.S., Microhabitat use and foraging behaviour of Sminthopsis youngsoni (Marsupialia : Dasyuridae) in arid central Australia. Wildlife Research, 2005. 32(7): p. 609-615. Greenville, A.C. and C.R. Dickman, The ecology of Lerista labialis (Scincidae) in the Simpson Desert: reproduction and diet. Journal of Arid Environments, 2005. 60(4): p. 611-625. Williams, A.J. and C.R. Dickman, The ecology of insectivorous bats in the Simpson Desert, central Australia: habitat use. Australian Mammalogy, 2004. 26: p. 205-214. Murray, B.R., et al., Geographical gradients in seed mass in relation to climate. Journal of Biogeography, 2004. 31(3): p. 379-388. Letnic, M., et al., The responses of small mammals and lizards to post-fire succession and rainfall in arid Australia. Journal of Arid Environments, 2004. 59(1): p. 85-114. Letnic, M., Cattle grazing in a hummock grassland regenerating after fire: The short-term effects of cattle exclusion on vegetation in south-western Queensland. Rangeland Journal, 2004. 26(1): p. 34-48. Huxman, T.E., et al., Precipitation pulses and carbon fluxes in semiarid and arid ecosystems. Oecologia, 2004. 141(2): p. 254-268. Chen, X.L., M.B. Thompson, and C.R. Dickman, Energy density and its seasonal variation in desert beetles. Journal of Arid Environments, 2004. 56(3): p. 559-567. Chen, X.L., C.R. Dickman, and M.B. Thompson, Selective consumption by predators of different body regions of prey: is rate of energy intake important? Journal of Zoology, 2004. 264: p. 189-196. Cable, J.M. and T.E. Huxman, Precipitation pulse size effects on Sonoran Desert soil microbial crusts. Oecologia, 2004. 141(2): p. 317-324. Masters, P., C.R. Dickman, and M. Crowther, Effects of cover reduction on mulgara Dasycercus cristicauda (Marsupialia : Dasyuridae), rodent and invertebrate populations in central Australia: Implications for land management. Austral Ecology, 2003. 28(6): p. 658-665. Letnic, M., The effects of experimental patch burning and rainfall on small mammals in the Simpson Desert, Queensland. Wildlife Research, 2003. 30(6): p. 547-563. Letnic, M., Long distance movements and the use of fire mosaics by small mammals in the Simpson Desert, central Australia. Australian Mammalogy, 2002. 23: p. 125-134. Hart, R.K., M.C. Calver, and C.R. Dickman, The index of relative importance: an alternative approach to reducing bias in descriptive studies of animal diets. Wildlife Research, 2002. 29(5): p. 415-421. Duncan, F.D. and C.R. Dickman, Respiratory patterns and metabolism in tenebrionid and carabid beetles from the Simpson Desert, Australia. Oecologia, 2001. 129(4): p. 509-517. Dickman, C.R., et al., Population dynamics of three species of dasyurid marsupials in arid central Australia: a 10-year study. Wildlife Research, 2001. 28(5): p. 493-506. Predavec, M., Food limitation in Australian desert rodents: experiments using supplementary feeding. Oikos, 2000. 91(3): p. 512-522. Murray, B.R. and C.R. Dickman, Relationships between body size and geographical range size among Australian mammals: has human impact distorted macroecological patterns? Ecography, 2000. 23(1): p. 92-100. Letnic, M., C.R. Dickman, and G. McNaught, Bet-hedging and germination in the Australian arid zone shrub Acacia ligulata. Austral Ecology, 2000. 25(4): p. 368-374. Haythornthwaite, A.S. and C.R. Dickman, Foraging strategies of an insectivorous marsupial, Sminthopsis youngsoni (Marsupialia : Dasyuridae), in Australian sandridge desert. Austral Ecology, 2000. 25(2): p. 193-198. Dickman, C.R., L.K.P. Leung, and S.M. Van Dyck, Status, ecological attributes and conservation of native rodents in Queensland. Wildlife Research, 2000. 27(4): p. 333-346. Sutherland, E.F. and C.R. Dickman, Mechanisms of recovery after fire by rodents in the Australian environment: a review. Wildlife Research, 1999. 26(4): p. 405-419. Murray, B.R., et al., The dietary ecology of Australian desert rodents. Wildlife Research, 1999. 26(4): p. 421-437. Dickman, C.R., et al., Long-term dynamics of rodent populations in arid Australia: the influence of rainfall. Wildlife Research, 1999. 26(4): p. 389-403. Dickman, C.R., M. Letnic, and P.S. Mahon, Population dynamics of two species of dragon lizards in arid Australia: the effects of rainfall. Oecologia, 1999. 119(3): p. 357-366. Sinclair, A.R.E., et al., Predicting effects of predation on conservation of endangered prey. Conservation Biology, 1998. 12(3): p. 564-575. Mahon, P.S., P.B. Banks, and C.R. Dickman, Population indices for wild carnivores: a critical study in sand-dune habitat, south-western Queensland. Wildlife Research, 1998. 25(1): p. 11-22. Law, B.S. and C.R. Dickman, The use of habitat mosaics by terrestrial vertebrate fauna: implications for conservation and management. Biodiversity and Conservation, 1998. 7(3): p. 323-333. Kotler, B.P., C.R. Dickman, and J.S. Brown, The effects of water on patch use by two Simpson Desert granivores (Corvus coronoides and Pseudomys hermannsburgensis). Australian Journal of Ecology, 1998. 23(6): p. 574-578. Chen, X.L., C.R. Dickman, and M.B. Thompson, Diet of the mulgara, Dasycercus cristicauda (Marsupialia : Dasyuridae), in the Simpson desert, central Australia. Wildlife Research, 1998. 25(3): p. 233-242. Smith, G.T., J. Leone, and C.R. Dickman, Small terrestrial vertebrate communities in remnant vegetation in the central wheat-belt of Western Australia. Western Australian Naturalist, 1997. 21: p. 235-249. Predavec, M., Variable energy demands in Pseudomys hermannsburgensis: Possible ecological consequences. Australian Journal of Zoology, 1997. 45(1): p. 85-94. Murray, B.R. and C.R. 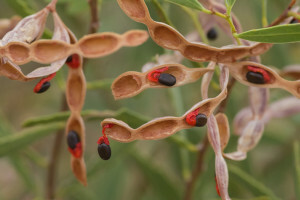 Dickman, Factors affecting selection of native seeds in two species of Australian desert rodents. Journal of Arid Environments, 1997. 35(3): p. 517-525. Dickman, C.R., Vagrants in the desert. Nature Australia, 1996. 25: p. 54-62. Dickman, C.R., Impact of exotic generalist predators on the native fauna of Australia. Wildlife Biology, 1996. 2(3): p. 185-195. Brooks, S.J., et al., Does intraspecific variation in the energy value of a prey species to its predators matter in studies of ecological energetics? A case study using insectivorous vertebrates. Ecoscience, 1996. 3(3): p. 247-251. Withers, P.C. and C.R. Dickman, The role of diet in determining water, energy and salt intake in the thorny devil Moloch horridus (Lacertilia: Agamidae). Journal of the Royal Society of Western Australia, 1995. 78: p. 3-11. Murray, B.R., I.D. Hume, and C.R. Dickman, Digestive tract characteristics of the spinifex hopping-mouse, Notomys alexis and the sandy island mouse, Pseudomys hermannsburgensis in relation to diet. Australian Mammalogy, 1995. 18: p. 93-97. Henschel, J.R., V.T. Davies, and C.R. Dickman, The slit spider (Araneae, Clubionoidea) that constructs fissures in the sand dunes of the Simpson Desert, Central Australia. Journal of Natural History, 1995. 29(1): p. 137-145. Dickman, C.R., M. Predavec, and F.J. Downey, Long-range movements of small mammals in arid Australia: Implications for land management. Journal of Arid Environments, 1995. 31(4): p. 441-452. Predavec, M. and C.R. Dickman, Population-dynamics and habitat use of the long-haired rat (Rattus villosissimus) in south-western Queensland. Wildlife Research, 1994. 21(1): p. 1-10. Predavec, M., Population-dynamics and environmental-changes during natural irruptions of australian desert rodents. Wildlife Research, 1994. 21(5): p. 569-582. Murray, B.R. and C.R. Dickman, Food preferences and seed selection in two species of Australian desert rodents. Wildlife Research, 1994. 21(6): p. 647-655. Murray, B.R. and C.R. Dickman, Granivory and microhabitat use in Australian desert rodents – are seeds important. Oecologia, 1994. 99(3-4): p. 216-225. Fisher, D.O. and C.R. Dickman, The body size – prey size relationship in dasyurid marsupials: tests of three hypotheses. Ecology, 1993. 74: p. 1871-1883. Fisher, D.O. and C.R. Dickman, Diets of insectivorous marsupials in arid Australia – selection for prey type, size or hardness. Journal of Arid Environments, 1993. 25(4): p. 397-410. Dickman, C.R., F.J. Downey, and M. Predavec, The hairy-footed dunnart Sminthopsis hirtipes (Marsupialia: Dasyuridae) in Queensland. Australian Mammalogy, 1993. 16: p. 69-72. Dickman, C.R., Raiders of the last Ark: cats in island Australia. Australian Natural History, 1993. 24: p. 44-52. Dickman CR, Wardle GM, Foulkes JN, de Preu N. Desert complex environments. In: Lindenmayer DB, Burns E, Thurgate N, Lowe A, editors. Long-term Ecological Monitoring. Melbourne: CSIRO Publishing; 2013. Dickman CR. Invasion ecology of Australasian marsupials. In: Prins HHT, Gordon I, editors. Invasion Biology and Ecosystem Theory. Cambridge: Cambridge University Press; 2013. p. 159=95. Popic TJ, Wardle GM. Extremes: Understanding flower – visitor interactions in a changing climate. In: Lunney D, Hutchings P, editors. Wildlife and climate change: towards robust conservation strategies for Australian fauna. Mosman: Royal Zoological Society of New South Wales; 2012. p. 99-106. Dickman CR, Wardle GM. 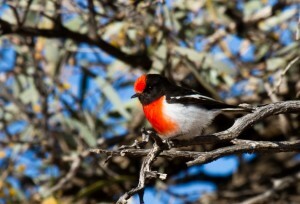 Monitoring for improved biodiversity conservation in arid Australia. In: Lindenmayer D, Gibbons P, editors. Biodiversity Monitoring in Australia. Melbourne: CSIRO Publishing; 2012. p. 157-64. Dickman CR. Fences or ferals? Benefits and costs of conservation fencing in Australia. In: Somers MJ, Hayward MW, editors. Fencing for Conservation: restriction of evolutionary potential or a riposte to threatening processes? . New York: Springer; 2012. p. 43-63. Wardle GM. The story of our land revealed through plants. In: Robin L, Dickman, Martin M, editors. Desert Channels: the impulse to conserve. Melbourne: CSIRO Publishing; 2010. p. 122. Dickman C, Tischler M. Mammals and birds: life on the move. In: Robin L, Dickman, Martin M, editors. Desert Channels: the impulse to conserve. Melbourne: CSIRO Publishing; 2010. p. 170-91. Dickman C, Letnic M. Reptiles, amphibians and fish: going with the flow. In: Robin L, Dickman, Martin M, editors. Desert Channels: the impulse to conserve. Melbourne: CSIRO Publishing; 2010. p. 192-209. Dickman C. Desert crabs. In: Robin L, Dickman, Martin M, editors. Desert Channels: the impulse to conserve. Melbourne: CSIRO Publishing; 2010. p. 133. Dickman C. Adaptations of desert beetles. In: Robin L, Dickman, Martin M, editors. Desert Channels: the impulse to conserve. Melbourne: CSIRO Publishing; 2010. p. 122. Dickman C. The Ethabuka slit spider. In: Robin L, Dickman, Martin M, editors. Desert Channels: the impulse to conserve. Melbourne: CSIRO Publishing; 2010. p. 116. Dickman C. Arriving in the Desert Channels country. In: Robin L, Dickman, Martin M, editors. Desert Channels: the impulse to conserve. Melbourne: CSIRO Publishing; 2010. p. 1-23. Dickman CR, Crowther MS. Science and the environment. In: Calver MC, Lymbery A, McComb J, Bamford M, editors. Environmental Biology. Cambridge: Cambridge University Press; 2009. p. 23-42. Morton SR, Dickman CR. Stripe-faced dunnart Sminthopsis macroura (Gould, 1845). In: Van Dyck S, Strahan R, editors. The Mammals of Australia. 3rd ed. Sydney: Reed New Holland; 2008. p. 150-2. Morton SR, Dickman CR. Fat-tailed dunnart Sminthopsis crassicaudata (Gould, 1844). In: Van Dyck S, Strahan R, editors. The Mammals of Australia. 3rd ed. Sydney: Reed New Holland; 2008. p. 132-3. McKenzie NL, Dickman CR. Wongai ningaui Ningaui ridei Archer, 1975. In: Van Dyck S, Strahan R, editors. The Mammals of Australia. 3rd ed. Sydney: Reed New Holland; 2008. p. 117-8. Haythornthwaite AS. 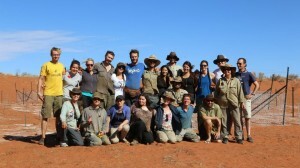 Postgraduate research in the Simpson Desert: the pitfalls of a PhD. In: Dickman CR, Lunney D, Burgin S, editors. Animals of Arid Australia: out on their own? Mosman, NSW, Australia: Royal Zoological Society of New South Wales; 2007. p. 76-81. Dickman CR, Lunney D, Burgin S. Animals of arid Australia: out on their own, or hung out to dry? In: Dickman CR, Lunney D, Burgin S, editors. Animals of Arid Australia: out on their own? Sydney: Royal Zoological Society of New South Wales; 2007. p. 224-39. Dickman CR, Vieira EM. Ecology and life histories. In: Armati PJ, Dickman CR, Hume ID, editors. Marsupials. Cambridge: Cambridge University Press; 2006. p. 199-228. Dickman CR, Murray BR. Species interactions: complex effects. In: Attiwill P, Wilson BA, editors. Ecology: An Australian Perspective. 2nd ed. Oxford: Oxford University Press; 2006. p. 317-34. Dickman CR. Species interactions: indirect effects. In: Attiwill P, Wilson BA, editors. Ecology: An Australian Perspective. 2nd ed. Oxford: Oxford University Press; 2006. p. 303-16. Dickman CR. Species interactions: direct effects. In: Attiwill P, Wilson BA, editors. Ecology: An Australian Perspective. 2nd ed. Oxford: Oxford University Press; 2006. p. 285-302. Sher AA, Kahn, B. M. & Dickman, C. R. Human interactions with biodiversity. In: M. Shachak M, Gosz JR, Pickett STA, Perevolotsky A, editors. Biodiversity in Drylands: Toward a Unified Framework. Oxford: Oxford University Press; 2005. p. 305-19. Dickman CR. Marsupials of the world: an introduction. In: Nowak R, editor. Walker’s Marsupials of the World. Baltimore: The Johns Hopkins University Press; 2005. p. 1-67. Wilson BA, Dickman CR, Fletcher TP. Dasyurid dilemmas: problems and solutions for conserving Australasia’s small carnivorous marsupials. In: Jones ME, Dickman CR, Archer M, editors. Predators with Pouches: the Biology of Carnivorous Marsupials. Melbourne: CSIRO Publishing; 2003. p. 407-21. Dickman CR. Positive effects of rodents on biota in arid Australian systems. In: Singleton GR, Hinds LA, Krebs CJ, Spratt DM, editors. Rats, Mice and People: Rodent Biology and Management. Canberra: Australian Centre for International Agricultural Research; 2003. p. 69-74. Dickman CR. Distributional ecology of dasyurid marsupials. In: Jones ME, Dickman CR, Archer M, editors. Predators with Pouches: the Biology of Carnivorous Marsupials. Melbourne: CSIRO Publishing; 2003. p. 318-31. Dickman CR. Species interactions: indirect effects. In: Attiwill P, Wilson BA, editors. Ecology: An Australian Perspective. Oxford: Oxford University Press; 2003. p. 158-70. Dickman CR. Species interactions: direct effects. In: Attiwill P, Wilson BA, editors. Ecology: An Australian Perspective. Oxford: Oxford University Press; 2003. p. 140-57. Crowther MS, McAllan BM, Dickman CR. Morphological variation within Australian populations of the house mouse: an observational and experimental approach. In: Singleton GR, Hinds LA, Krebs CJ, Spratt DM, editors. Rats, Mice and People: Rodent Biology and Management. Canberra: Australian Centre for International Agricultural Research; 2003. p. 350-3. Dickman CR. Rodent-ecosystem relationships: a review. In: Singleton GR, Hinds LA, Leirs H, Zhang Z, editors. Ecologically-based Management of Rodent Pests. Canberra: Ecologically-based Management of Rodent Pests; 1999. p. 113-33. Dickman CR. Incorporating science into recovery planning for threatened species. In: Stephens S, Maxwell S, editors. Back from the Brink: Refining the Threatened Species Recovery Process. Chipping Norton: Surrey Beatty & Sons; 1996. p. 63-73. Calver MC, Dickman CR, Meathrel CE. Patterns of vertebrate predation on grasshoppers. In: Walters KFA, Kidd NAC, editors. Populations and Patterns in Biology. Silwood Park, Ascot: IPP Publications; 1996. p. 18-22. Dickman CR. Australian deserts. In: Seely MK, editor. Deserts: The Illustrated Library of the Earth. Sydney: Weldon Owen; 1994. p. 56-60. Downey FJ, Dickman CR. Macro and microhabitat relationships among lizards of sandridge desert in central Australia. In: Lunney D, Ayers D, editors. Australian Herpetology: A Diverse Discipline. Sydney: Royal Zoological Society of New South Wales; 1993. p. 133-8. Dickman CR. Evolution of semelparity in male dasyurid marsupials: a critique, and an hypothesis of sperm competition. In: Roberts M, Carnio J, Crawshaw G, Hutchins M, editors. The Biology and Management of Australasian Carnivorous Marsupials. Washington, D.C: Metropolitan Toronto Zoo, Ontario, and the American Association of Zoological Parks and Aquariums; 1993. p. 25-38. Dickman, C.R. and E.A. Denny. Strategies to reduce conflict: managing feral and stray cats. in Proceedings of the RSPCA Australia Scientific Seminar – Convergence or Conflict: Animal Welfare in Wildlife Management and Conservation. 2010. Canberra: RSPCA. Pastro, L.A. and C.R. Dickman. Fight or flight: Vertebrate responses to wildfire in the Simpson Desert, Australia. Project outline and preliminary results. in Proceedings of the Alice Springs Fire Conference. 2007. Alice Springs: Desert Knowledge CRC. Dickman, C.R. Plenary Lecture. Rodent-ecosystem relationships: a review. in Rodent Biology and Management. 1999. Australian Centre for International Agricultural Research, Melbourne.